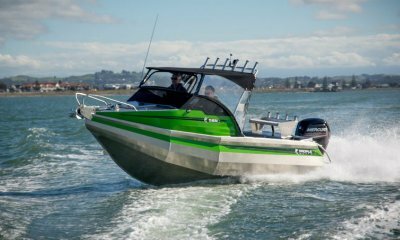 I put the 635H to the test on the Hauraki Gulf and while it was not in heavy seas, there was a dirty wind-v-tide chop which can be quite nasty. 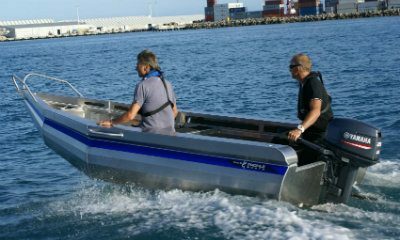 The boat handled it beautifully, and we could maintain a good speed in the conditions. What is particularly impressive is the smooth ride. 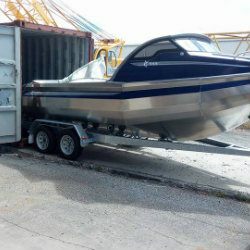 It is certainly soft riding, which in an alloy hull is usually not the case. 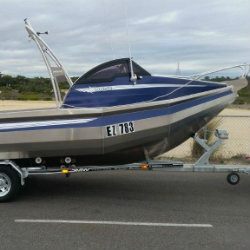 I’ve had over 35 years experience around boats and have found my Profile Boats 585C to be the most versatile boat, in it’s size range, I’ve been on. 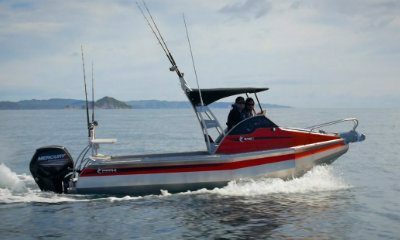 It’s ability to handle all sea conditions has impressed me and I’d recommend them to anyone looking for a safe and stable fishing boat. 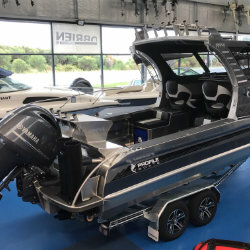 The boat is going brilliantly…The boat has exceeded my expectations, it’s great having the space and the great layout which is something everyone that’s been on board has commented about. Water skiing was surprising, it felt like the wake was smoother than our previous Haines Hunter and was a piece of cake to pull 2 skiers at the same time. 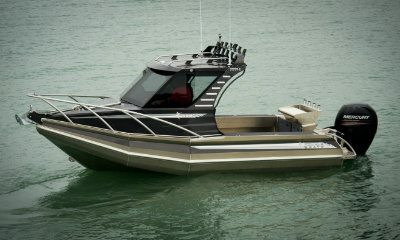 Can’t say enough about these boats the design and planning is brilliant and the craftsmanship is amazing. When we were water skiing my pump to blow up the ski biscuits cut out. When I got home and checked I found the pump was fine but no power in the socket outlet on the dash. Opened up the panel behind the dash and was amazed at the workmanship of your technician, all cables were cable tied, labeled and beautifully laid out. The panel switch was labeled to the corresponding fuse was so easy to sort, gives you a lot of confidence when you see this level of workmanship which is normally not seen until you have a problem. If you have any enquiries over our way feel free to put them in contact with me if they want to see a 635H. We are very happy with ours. 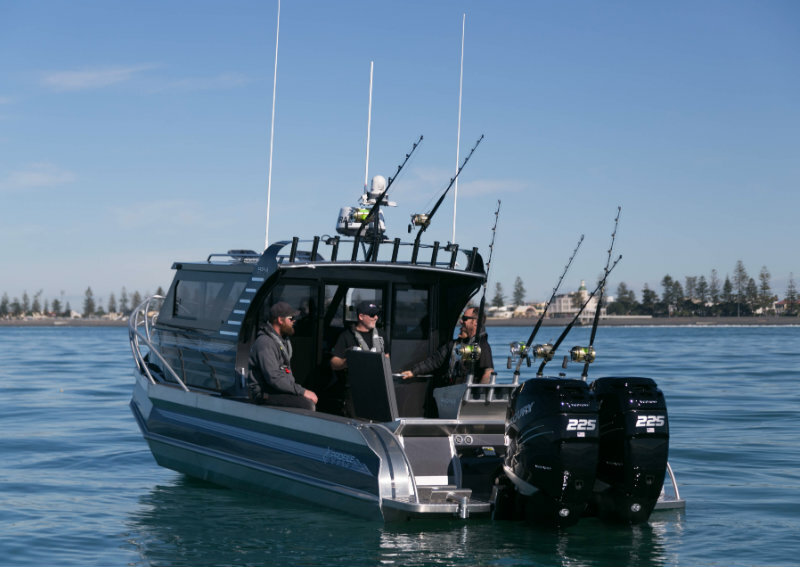 This is the ultimate fishing, diving and family boat. 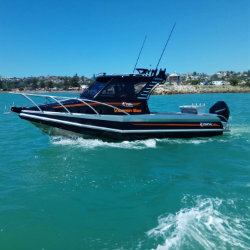 It ticks all boxes – easy ute tow, handles the roughest conditions (50knot southerly storm on first trip no worries), fast and rides beautifully. It blows the opposition out of the water. The gamechanger is the secure doors and all the options they give, fully open, or closed and cosy when the weather changes. No I am not a salesmen and this is unsolicited – just a very happy purchaser of the above. As you can tell by the number of photos, we absolutely love our boat. 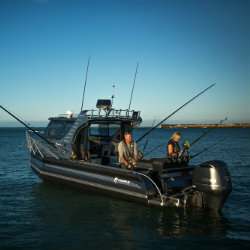 It’s such an awesome machine and the ability to get out on the water in such safety and comfort (and catch some awesome fish!) is just fantastic. The boat is going great! 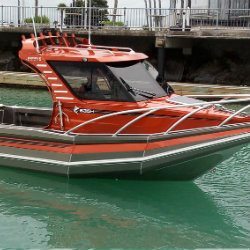 (Profile Boats 545C) Couldn’t be happier with it. I’ve been out on it a bit around Perth but haven’t made it to Rotto yet or out further. 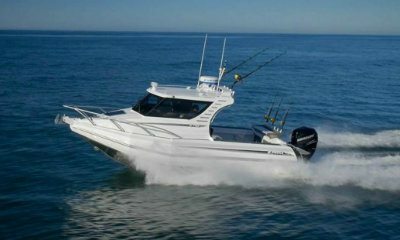 My brother and Dad took it to Jurien Bay to do some serious fishing, they said it absolutely carved up in the chop and handling of it was spot on. 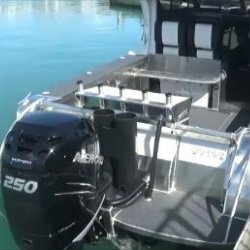 Love my Profile Boats 700H had it for 2 years ,great diving and fishing platform .l am a dive shop operator in Auckland at Go Dive Center and have had 8 divers and all gear on board and it handled it with ease . 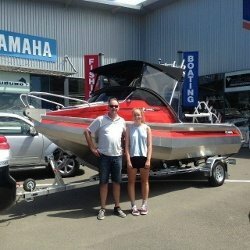 We ordered the boat how we wanted and were pleased with the staff and process . Great boat highly recommend. 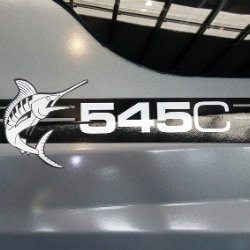 I wanted to convey our satisfaction with our recently purchased 545C Profile. 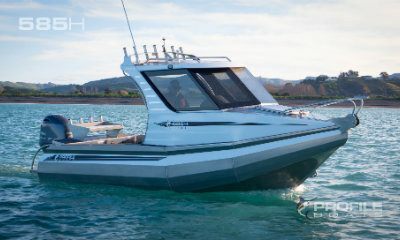 We gave the boat its test run in Taupo as our kids desperately wanted some skiing and wakeboarding time. 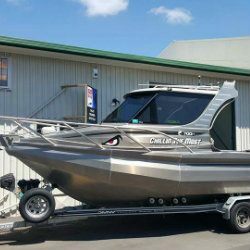 Having previously owned a fibreglass boat that was used both in Taupo and Hawke Bay I was eagerly awaiting to see how the aluminium compared, also given Taupo is so dominated by fibreglass. Well it was a superb boat for the lake and for what we were doing as we had kids, skis, boards and water in and out of the boat all the time. 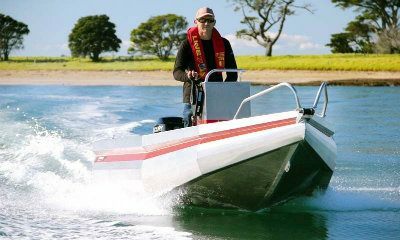 Overall we felt it bettered the experience of our previous fibreglass boat because of its spaciousness, ease of handling, easier care and of course the impressive 4 stroke Mercury which made motoring a dream. Trailering was a breeze, as was towing it on the none too easy Napier-Taupo Road. 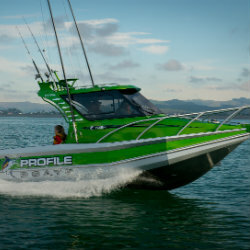 It will soon be out to Waimarama and based on Profiles popularity there, Im sure it will live up to its reputation. Lastly my wife was also thrilled with the new boat and to boot caught the first fish of the boat. Boat packed with gear from CC to bow and 50 l bin full aft , plus Graeme and me standing at the CC. 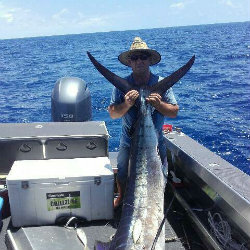 Little bugger ate it up , no spray on board and cruised out to house about 18-20 knts . Total control , bloody amazing. Can’t wait to see what it can do on a fine day and flat sea. 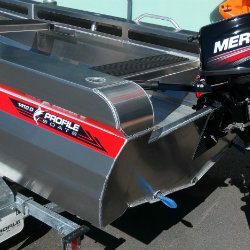 I have owned my Profile Boats 545C for 6 years and it has proven to be a fantastic hull. 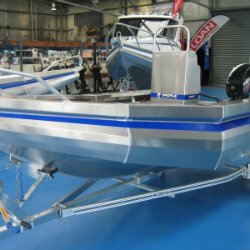 I fully recommend a Profile Boats 545C to anyone who wants a capable, safe and well built fishing boat. 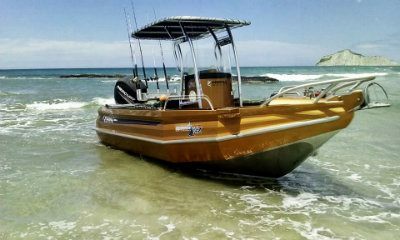 Great for on the beach launching and retrieval. 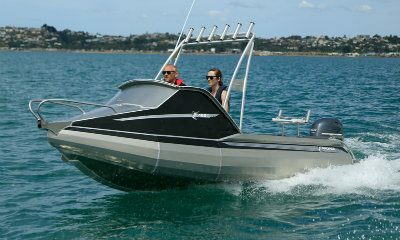 Profile Boats 750H love it! .1 year 300 hours. Feels safe in west coast conditions. Brian is an awesome man to deal with and build your dream machine. Cheers to all your team. 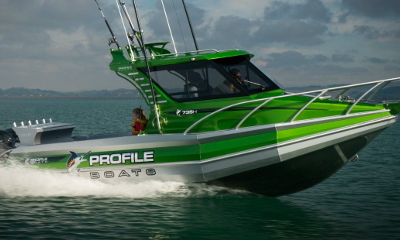 Well officially 12 months owning my very first boat the profile 1410D purchased from yourself and your team. What can I say, since owning her she’s been an amazing boat! 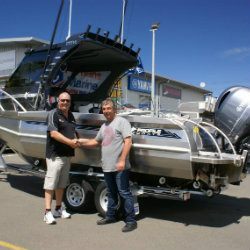 I have been all over New Zealand with it now, from Paihia in the bay of islands on scuba diving trips and snapper missons, to lake Taupō chasing the rainbow trout, my most recent move has seen me travel to the South Island for Work. 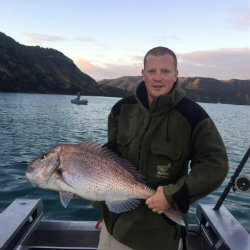 At first I didn’t rate the South Island fishery very highly and had not been out. However recently I took the boat up to Lake Tekapo in the Mckenzie country and in 2 hours caught my limit of rainbows, browns and the lake locked salmon! 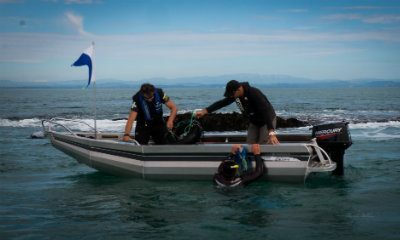 Our last trip out was just this weekend gone where we traveled down to Moeraki after blue cod, needless to say we did well and caught 30 blue cod in 1.5 hours! 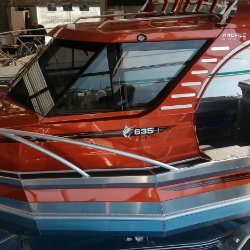 I have attached some photos of the great memories I have had since owning the boat, I look forward to many more and even upgrading! 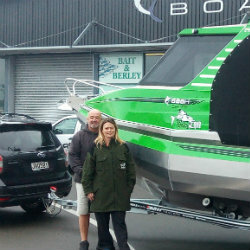 Since I have been living in Ashburton there has been a lot of people coming up to me asking about my boat, and saying how much they love the design and what it is capable of. I thank you very much for your help and advice along the way with my purchase, please let me know if your ever down these ways and we can have a catch up, once again thank you so much! Sorry haven’t had the time to send you any feedback, been too busy at work and boating has taken a back seat. Have managed to clock up 20 hours so far. The first 5 where in flat calm conditions so it was a bit hard to get a handle on how the boat handled. However the next 15 where done up north. 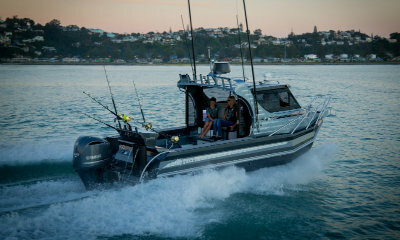 Day 1 game fishing out of Doubtless Bay 25 Knot easterly and a sloppy 2 meter swell. Well it’s fair to say the skipper & crew gave up well before the boat. This thing is unreal. It handles like a dream, there are no surprises. 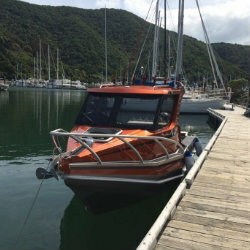 Like any small boat punching straight into a sea like that can be a little uncomfortable, but take it on 45 degree and the stability is fantastic. Not to mention the excitement of having a following sea.40-50 KPH surfing down the swells and it loves it, runs absolutely straight and true. 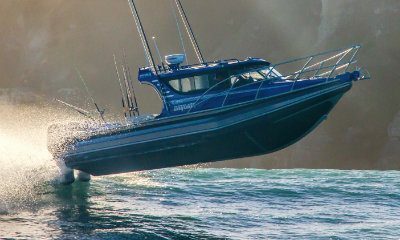 Not to mention it doesn’t bury its nose into the next wave, just goes up and over, no large sprays going all over the boat. You hardly need the wipers. Day2 launched out of Ahipara in much kinder conditions. Had about a meter or so of swell so where able to push a little harder than previous day .This boat lands nicely on its rear end and re-entry is soft. No back breaking banging and crashing. Unfortunately our day was cut short and we spent nearly 4 hours towing home a broken down boat. It’s not often I wish work was a little slower, but can’t wait to spend more time on the water. 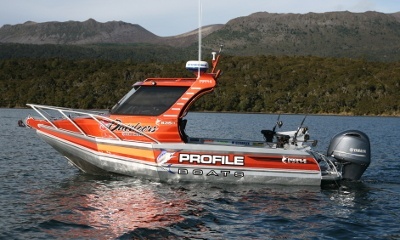 Thanks to your team and the guys at Profile Boats for the quality job you did in both the build and the fit out. In short I’m bloody wrapped.